While there may be actual reasons that your business isn’t doing as well as it should, many business owners aren’t aware that what they consider a reason for failure is really just an excuse they are using, usually to avoid hard work or one of several other things. The most prevalent excuse at the moment is the economy or lack of money. While insufficient funds have always been a problem for many businesses, sometimes it is the way you are allocating your funds that is causing the problem. Many business owners can be quite cheap when it comes to marketing in particular and when the necessary money isn’t spent, it shows in a lack of new business. This leads to either stagnation or a drop in sales, which then leads to doubts about your business. 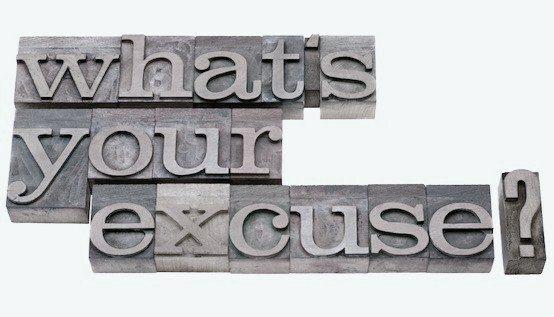 The second excuse which we hear most often, is not having enough time, a common complaint from many of us these days. As we all know, there is never enough time to do all of the things we consider necessary to run our businesses effectively. Organization combined with intelligent time management is the only way we will be satisfied with the amount of time we spend on our businesses. When our time isn’t used wisely is when it shows up in our business as a lack of interest. This isn’t the right time to expand my business. This may be true but then again, is there ever a right time? Using economic circumstances or any other excuse as a reason not to expand means you don’t have confidence in your products, services or yourself. The right product and service can do well under the worst circumstances, as there will always be something that your customer needs and it’s up to you to learn just what that is. These are three of the most common excuses that will erode confidence in your business, always used under the guise of reasons. There are others, such as ill-health brought on by neglect, lack of good help when a business owner is afraid to take on an employee or virtual team with a professionally proven reputation and just plain laziness. Real leadership takes confidence and if you want your business to continue to thrive and grow, give up the excuses and look at the real reasons you aren’t taking the necessary steps that will get you to where you want to be. Stop worrying about exactly how you will reach your goals and put small steps into place that will at least get you headed in the right direction. Don’t fix things that aren’t in need of fixing as a way of putting off what really needs to be done and work your way past any situation that is holding you back. What Are You Withholding from Your Business?